Join us on Thursday, September 20 at 5 p.m. at Local 802 in the Clubroom. Come relax between gigs and enjoy live music! Your donations will support the Local 802 Musicians’ Emergency Relief Fund, which helps musicians in need. For more information, contact Bettina Covo at (212) 245-4802, ext. 152. The full Jazz in the Afternoon Fall 2018 Line-Up poster can be found here. The Hell’s Kitchen Funk Orchestra is a group of jazz artists that have come together to facilitate and explore the bond that exists between musicians from many different countries. 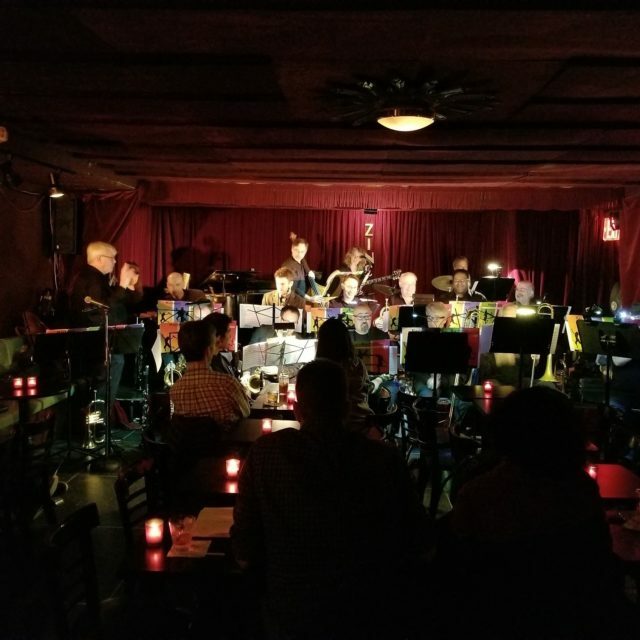 The Orchestra performs compositions born of the genres of funk, contemporary, and Latin Jazz while embracing the varied backgrounds and experiences of its members. Audiences are treated to high-powered contemporary music that communicates, transcends, and inspires. Originally known as the “International Core-tet,” the group was made of trumpeter Bill Warfield and saxophonist Glenn Cashman from the U.S., saxophonist Jens “Chappe” Jensen from Denmark, and from the Czech Republic, guitarist Libor Smoldas and keyboardist Jakub Zomer. Bill and Jakub met each other in the summer of 2012, when they were working together in Graz, Austria. An invitation by Jakub led Bill to Prague a few weeks later where he met Libor Smoldas. The three worked together for a week and found a real “magic” in the music they played. Between gigs and sets they discussed the idea of forming a core group to continue the transcendent experience they had that week.